The spinal cord serves as the highway to the brain, and carries important messages to and from the brain to the rest of the body. Even the smallest injury could have a major impact on an individual’s basic motor skills, and could require ongoing care for the rest of their life. If you or a loved one have received a spinal cord injury after a traumatic accident, you may be entitled to receive compensation for your injuries. The spinal cord contains nerves and tissue which carry messages from the brain to the rest of the body, and from the body back to the brain. The messages are relayed through 100 billion neurons, including motor neurons, sensory neurons, and inter-neurons, each which plays an important role in the spinal cord. When a spinal cord injury occurs, these neurons can no longer function as intended, resulting in motor loss, sensory loss, or potentially paralysis. The National Spinal Cord Injury Statistical Center estimates that approximately 12,000 new spinal cord injuries occur each year, and between 236,000 and 327,000 are currently living with spinal cord injuries throughout the United States. Spinal cord injuries are devastating to the victim and their family, and often result in tetraplegia, or injuries to one of the 8 cervical segments of the spinal cord, above the first thoracic vertebra. Tetraplegia unfortunately results in a degree of paralysis to both the limbs and the arms. However, there are varying forms of tetraplegia, and not all result in complete paralysis. Paraplegia occurs below the first thoracic spinal levels and primarily impacts the lower limbs. Victims who suffer paraplegia are able to move their arms and hands, although may be completely paralyzed from the waist down. Other victims with paraplegia may retain some mobility in their legs. Other spinal cord injuries which occur to the lower part of the spine might not result in paralysis, but could impact other bodily functions, such as the bladder. The outlook for recovery after a severe spinal cord injury is often observed within the initial 6 months, although each case is substantially different. 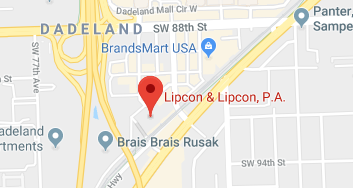 If you or a loved one have received a spinal cord injury after a devastating accident, do not hesitate to contact the attorneys of Lipcon & Lipcon. Spinal cord injuries are among the most tragic to occur to an individual and not only require an extended recovery time, but also the adaptation to a new way of life. The victim of a spinal cord injury should not have to focus on both their recovery and the resulting financial impact of their accident. Contact our Miami office today for your initial free consultation.